An interesting title is the first in the list above. Peeps at Postage Stamps. 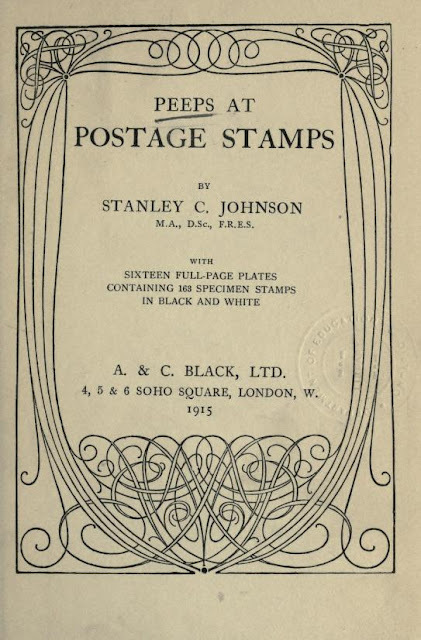 Johnson, Stanley Currie http://www.archive.org/details/peepsatpostagest00johnuoft. Below are a couple of images from the book. 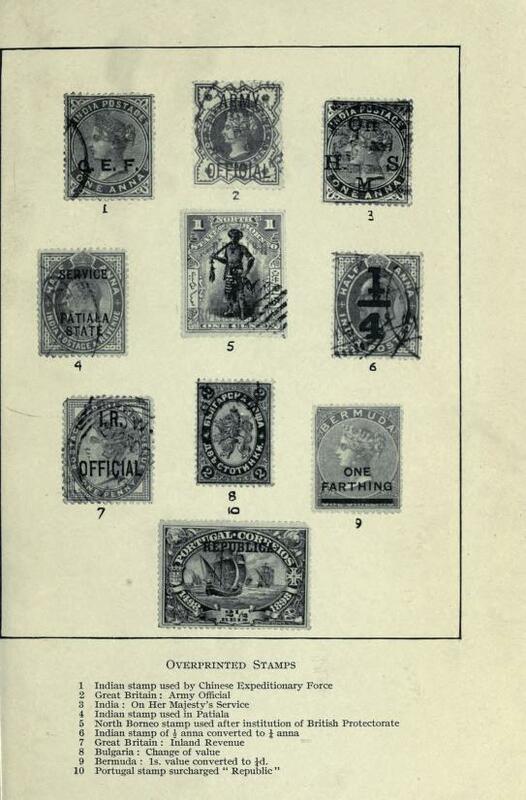 Using "Philately" as the search term produced 18 results including John Luff''s "What Philately Teaches", http://www.archive.org/details/cu31924030135572. Which was based on a lecture the famed philatelist delivered to the Brooklin Institute of Arts and Sciences in 1899. 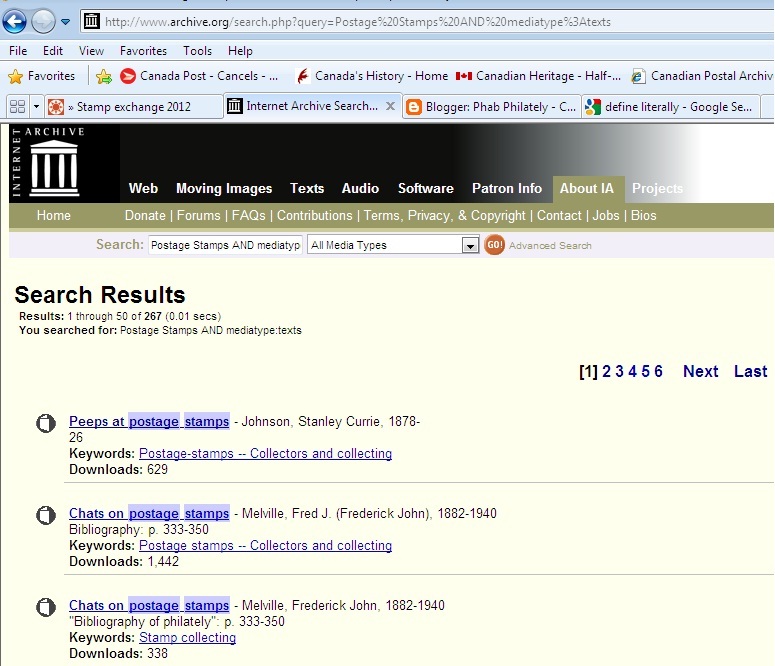 Another source to search is the project Gutenberg site at http://gutenberg.org/. 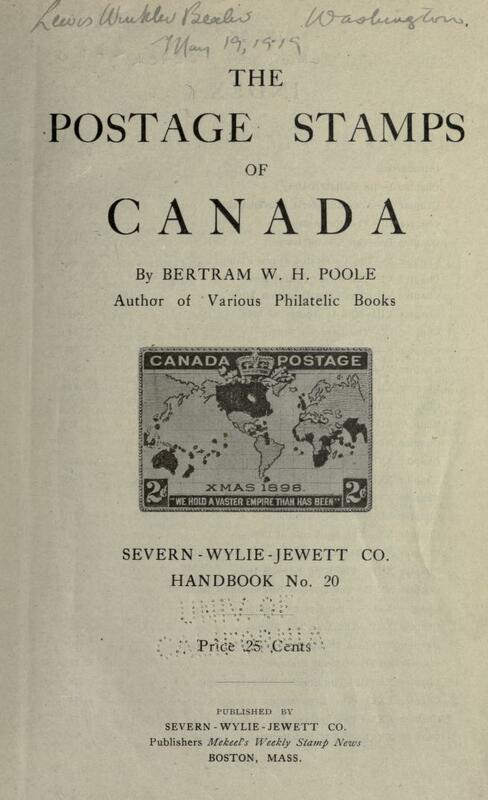 I found a copy of "Stamp Collecting as a Pastime" by Edward Nankivell there. With knowledge being power in so many aspects of life, and stamp collecting we should all use the free information that is on the net to its fullest. Many thanks for this post. These sites are very good ones to search. They contain a wealth of good information. Thanks Theo, I hope that the information comes in useful for people.